This model, the dual of the icosidodecahedron, was made from a single printed net. 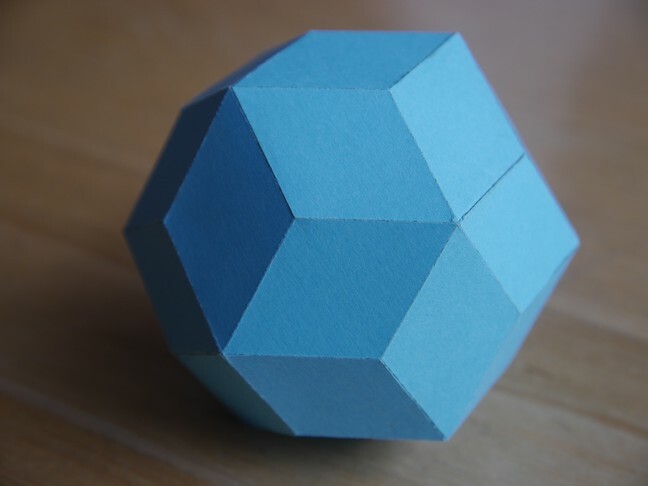 The rhombic triacontahedron has many facetings, i.e. polyhedra which share the same set of vertices. One is this compound of an icosahedron and its dual the dodecahedron. And here's a compound of the rhombic triacontahedron (in grey) and its dual.